Smith Brothers Insurance Donates Backpacks To Help Children Start Their School Year. 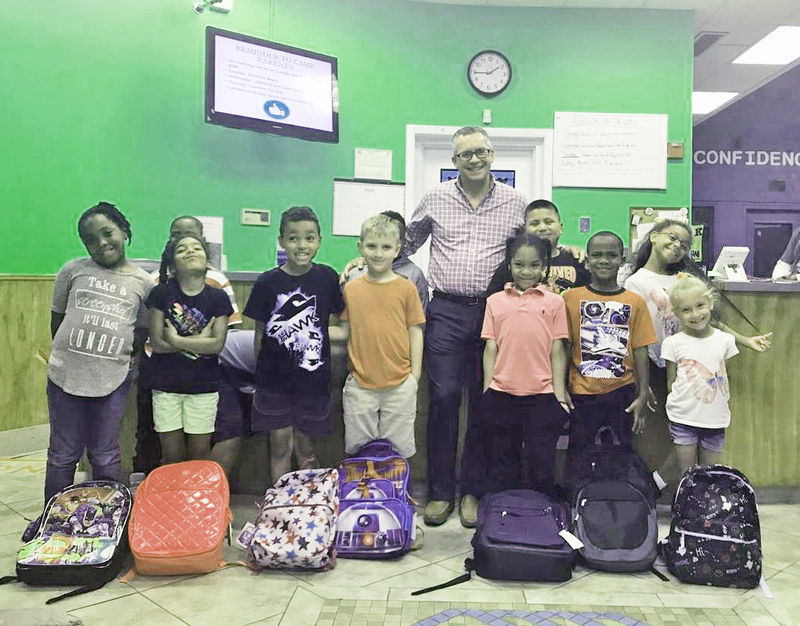 Matt Hunt from Smith Brothers Insurance delivered 44 backpacks filled with school supplies to members of the Boys & Girls Club of Greater Waterbury. Employees at Smith Brothers Insurance donated 44 backpacks filled with school supplies for girls and boys in kindergarten through eighth grade. Each backpack contained all the necessary essentials for students to start the school year. The backpacks were delivered to the Boys & Girls Club of Greater Waterbury. “The Boys & Girls Club focuses on education and helping our members reach their full potential by building skills for success. Smith Brothers’ donation of backpacks filled with school supplies help our members and their families start the school year ready and able to focus on learning,” said Karen Senich, executive director of the Boys & Girls Club of Greater Waterbury. The backpack donation is part of Smith Brothers’ ongoing “Helping Others” philosophy, a dedicated commitment to continually give back to the community and help those in need. For 2017, employees of Smith Brothers agreed to focus on charities that help children. Smith Brothers is one of the largest independently operated insurance and financial serviceorganizations in New England. Their offices are in Glastonbury, Chester, Niantic, Somers, and Windsor Locks, Connecticut, as well as Easthampton, Massachusetts and Haddonfield, New Jersey. For over 128 years, the Boys & Girls Club of Greater Waterbury has been committed to its mission: providing a wide range of educational and recreational opportunities, a safe environment, and supportive relationships. The Boys & Girls Club of Greater Waterbury helps young people who need it most discover their interests, have a positive outlook for their future, and be confident, successful stewards of their communities. The Club provides a safe, fun and high-impact after-school environment that prioritizes healthy lifestyles, academic success, character and leadership through programs designed to give young people the tools to succeed. Learn more at www.bgcgwater.org and www.facebook.com/BoysGirlsClubGW/.